Addiction is one of the worst possible things that could happen to any person. When you get addicted to something, which usually is tobacco or alcohol, erroneous things start to happen to your body. Our body is made to function in a certain manner. However, it is only possible if you take good care of it. Addiction can disrupt the normal functioning of your body and cause it to cease. Therefore, it is important that you give up addiction. However, that isn’t any piece of cake either. The stage of abstaining from addiction is filled with a lot of challenges and Ambrosia can help you get across with the task. 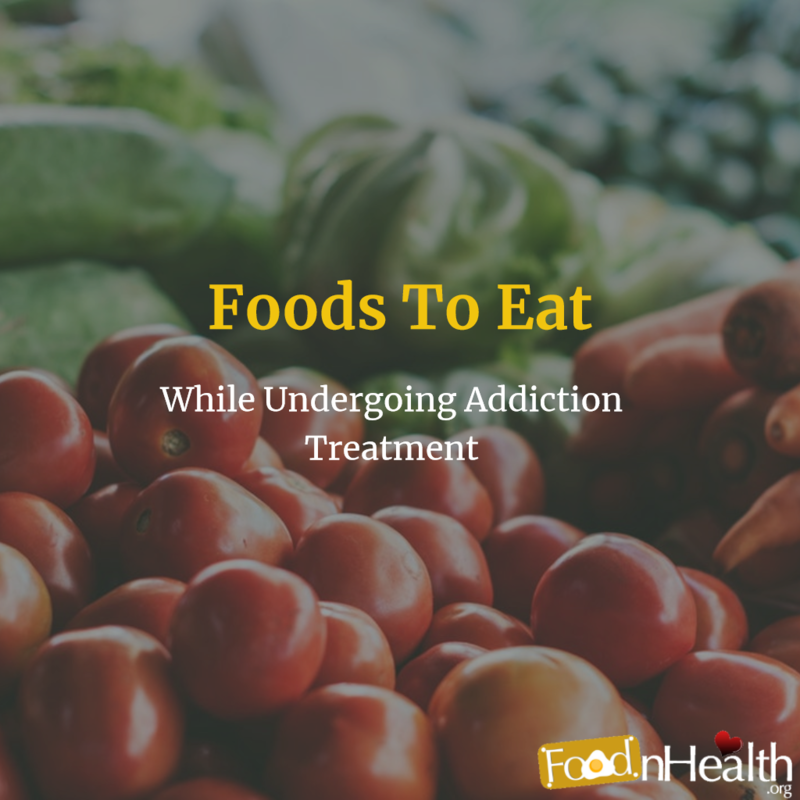 Here are the five good things that you must eat while going through an addiction treatment. Primarily, you need to listen what the doctor has to say. The diet chart that you have been provided with needs to be followed. In addition to that, you can try out these food items as well since they are healthy and can be eaten by anyone of any age. During the process of addiction treatment, it is very important to keep yourself hydrated. It is possible that you may have already lost a lot of nutrition and essential vitamins from the body. Recovering them is important. Fruit juices and milk are great ways to keep the body hydrated. You can go for any fruit as long as you are not allergic to it. Try having a glass of authentic fruit juice at breakfast and in the evening. It is better to avoid any packaged content unless it has been approved by the doctor. Green leafy veggies are great things to have in your meal. Vegetables have a lot of essential nutrients and are particularly rich in antioxidants and Vitamin B6. Vegetables like Spinach, Broccoli, Parsley, Lettuce, Cabbage and Kale are rich in Vitamin B6 and Folic Acid. Both these are essential nutrients for the body and help in recovery. Proteins are essential components for our body. Proteins are broken down into Amino Acids, which are used in order to repair cell damage. Now, proteins can be found in both plants and animals. A diet rich with protein can help to induce the process of recovery in a better and faster way. Proteins are rich in Vitamin B6, omega fatty acids and can be found in meat like chicken, pork, steak and much more. Fish like cod, tuna and salmon have a lot of omega fatty acids in them too. Other than that, milk and eggs can also be taken into consideration as incorporation into daily diet. Fruits like banana, orange, lemon and watermelon are rich in Vitamin C and fibre as well. These are great as a form of snack, especially when you are hungry all of a sudden. Fruits are natural desserts; they are tasty and can be consumed very easily by the body. Complex carbs can be found in beans, potato, rice and bread. These food items have fibre in them, which helps in easier digestion. It also helps in easier bowel movements. Incorporating these in your diet is a great way of gaining better results with the recovery process. Just like other diseases like asthma or heart disease, addiction can be managed successfully, but treatment for drug addiction usually isn’t a cure. So you can also try doing things to help you sway away of your addiction. Body Movement. A quick walk in the park or around your block can be a stress-reliever. You can also consider meditation or yoga to fight stress and have a balance. Be out in the sun. Savor some fresh air and the warmth of the sun with a beautiful view of a landscape. Play with your pet. Enjoy the touch of your fur baby and play with them. Evaluate your senses. Savor the scent of some coffee beans or fresh flowers, or a scent that makes you remember your last vacation, such as seashell or a sunscreen. Use your imagination. You can simply close your eyes and imagine a peaceful place. Alone time. You can definitely pamper yourself and treat your body with a relaxing massage. Make a cup of tea and soak in a hot shower or bath. Stopping the use of drugs is just a part of a complex and long process of recovery. When an addict enters treatment, it may be because their addiction already caused a serious consequences in their life – damaging their health and their role in the community, at work and in their family’s lives. A healthy diet plays the role of an anchor during the rehabilitation and recovery process. It helps in inducing a better state of mind, aids in body fitness and helps to speed up the recovery process considerably. Fermented Foods and Weight Loss: Is there any connection between the two?